Tony Kraus touched the lives of all the people around him. From actively serving at his parish, Our Lady of Lourdes Catholic Church, to dedicating 13 years of academic leadership at Owensboro Catholic High School, to being a Third Degree Knight of Columbus, he taught people what it means to be a blessing to somebody. Tony’s genuine love for the wellbeing of others made him one of the most respected co-workers, teachers, and parishioners in the Owensboro Catholic community. He had a servant’s heart. His wife, Christy, said it excellently: “Tony was a messenger; people came to him in time of need, despair and he was able to guide, through Christ.” Tony’s cheerfulness filled the entire room, and his presence is greatly missed. Anthony “Tony” Kraus was born in New Albany, Indiana but moved to Owensboro, Kentucky after he graduated from Indiana University with a Bachelor’s degree in business. To Tony’s family, he truly was a blessing. Before meeting his wife in February 2006, Tony planned on entering the Seminary in October. He initially had a career in finance but “had a void in his life and felt he was being called to do more,” Christy says. She also stated that his favorite thing about teaching was watching his students grow spiritually. He taught them how to walk with God and live the life God would want them to live. She commented that Tony taught in a way students could learn, something every student of his would confirm. Not only was Tony a blessing to his family and friends but to his students, as well. Abbey Thompson, a senior at OCHS and a member of the Choral Musicians, said, “He encouraged me to continue to share my gifts and talents with others because he said that my voice has helped both students and teachers grow in their faith.” She remembers how much he supported her and was always there when she needed to talk. Abbey remarked, “his strength to know and serve God” has helped her to grow in her own faith. “[Mr. Kraus] always putting others before himself” is something she said that has impacted her life. 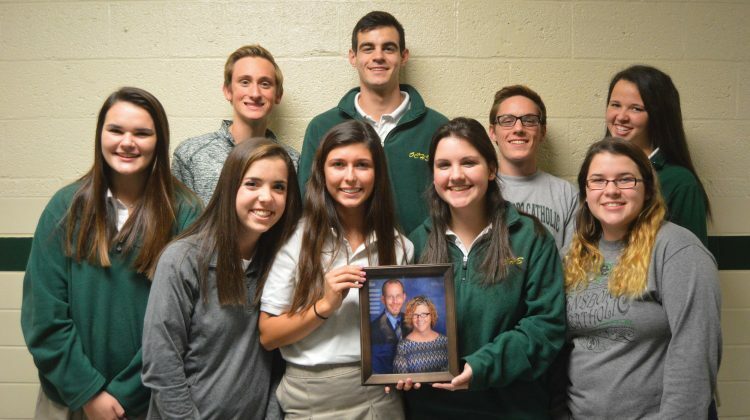 Tony’s impact on his students still resonates today; one of his former students, Jenna Ruth, said, “He never doubted my ability or anyone’s to achieve whatever they want.” She went on to explain the true influence that he had on her life. “I know that I would n’t be who I am if I didn’t have him as a teacher.” Tony was one of her class’ sponsors and committed hours to helping build the Titanic for their junior-year prom, much to the disbelief of the other students. Every day at OCHS, he would stand outside his classroom door and greet each student with a smile. 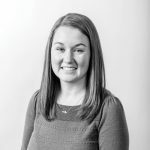 Jenna expressed, “It showed that he cared for his students on a personal and genuine level.” Jenna is studying now to become a teacher herself; Tony’s passion to change lives is what influencesher to do the same. Along with his students, Tony touched the lives of his co-workers. 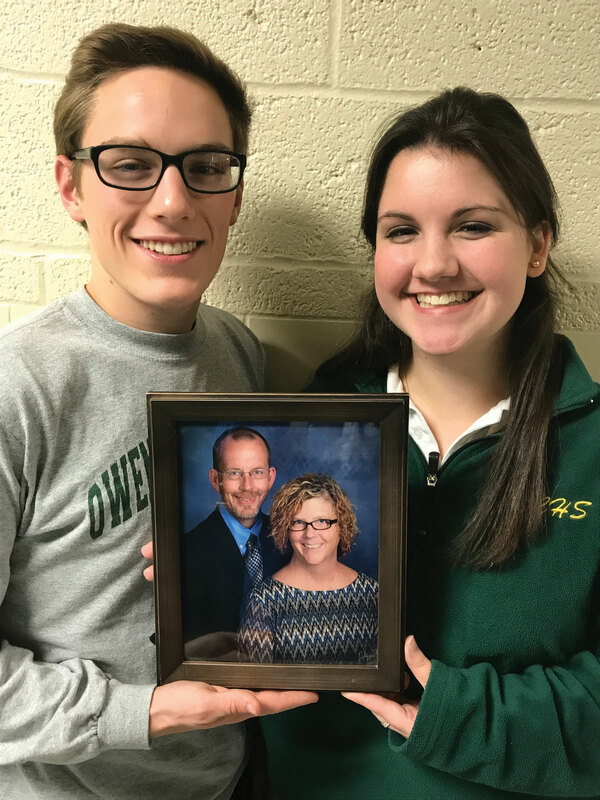 Scott Lowe, the guidance counselor at Owensboro Catholic, described him as the ultimate example of respect, humility, selflessness, and determination. He sums Tony Kraus up: “He was just a role model of how to grow the Kingdom of God.” Scott remembers a time he entered Tony’s classroom and without a word, the students went quiet. “He respected his students and therefore they respected him.” If there is one thing you should know about Tony, said Scott, “is that he was very humble.” And that he was. His physical being may no longer be here but his spirit is. Those who knew Tony know that he is finally at home in perfect happiness with his Creator. Father Jason McClure said to the OCHS students at a prayer service, “Mr. 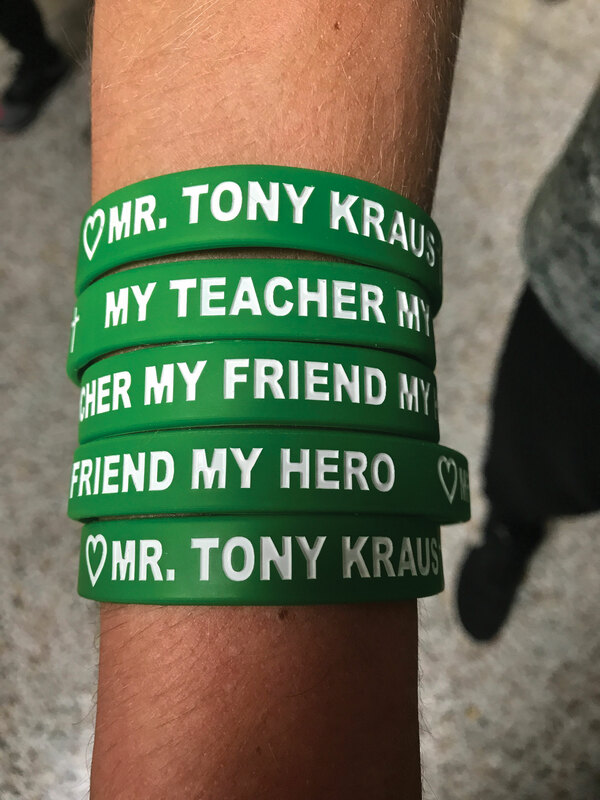 Kraus is teaching us the most important thing right now,” that it is easy to keep the faith when things are good, but Tony showed us how to keep the faith when faced with adversity. It was what Tony did or did not do, what he said or did not say, that showed so many people how much he cared. In the words of his wife, “Tony planted hundreds of seeds, teaching people the way God would want us to live our lives every day.” Tony’s challenge for all of us today and every day is simple–be a blessing to someone.